The Bainimarama Government is concerned about the safety and well being of all Fijians from the dangers of fire. 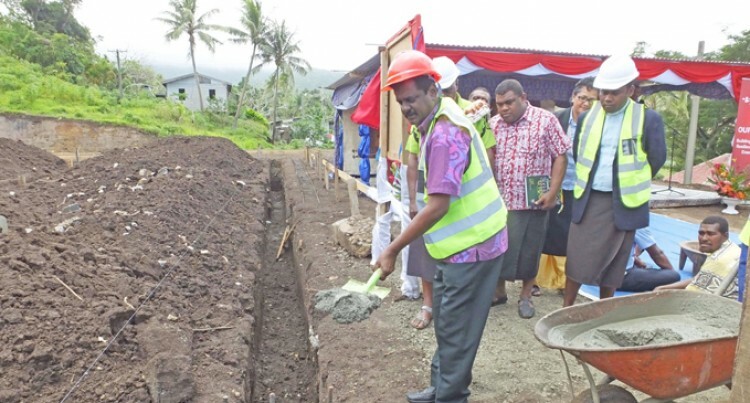 Minister for Local Government, Housing, Environment, Infrastructure and Transport Parveen Bala made this comment while officiating the foundation laying ceremony for the commencement of the construction of the new $1.2 million fire station in Nabouwalu, Bua yesterday. “The National Fire Authority’s (NFA) statistics has revealed 84 structural fires so far and sadly 18 lives have been lost in home fires,” Mr Bala said. “I’m deeply concerned with the number of innocent lives being lost in home fires this year. “The new Nabouwalu fire station will extend the reach of NFA to the growing Vanua Levu community in particular giving the people of Nabouwalu better access to fire and emergency services,” Mr Bala said. “Our Prime Minister had earlier this year opened the new fire station at Seaqaqa in Macuata Province and now today is the start of another important development for the people of Vanua Levu that will be commissioned in 11 months time. Mr Bala said the Government is committed to ensuring that the NFA is fully equipped and extends its reach to greater parts of the country. “While NFA’s presence will bring a new level of security and protection to the community of Nabouwalu that does not mean we can become complacent,” Mr Bala said. “Everyone has a part to play in reducing the risk of fires. We all need to shoulder the responsibility of making our communities safer by taking heed of fire safety advice.